Increase your online search visibility with directory listings + data distribution. 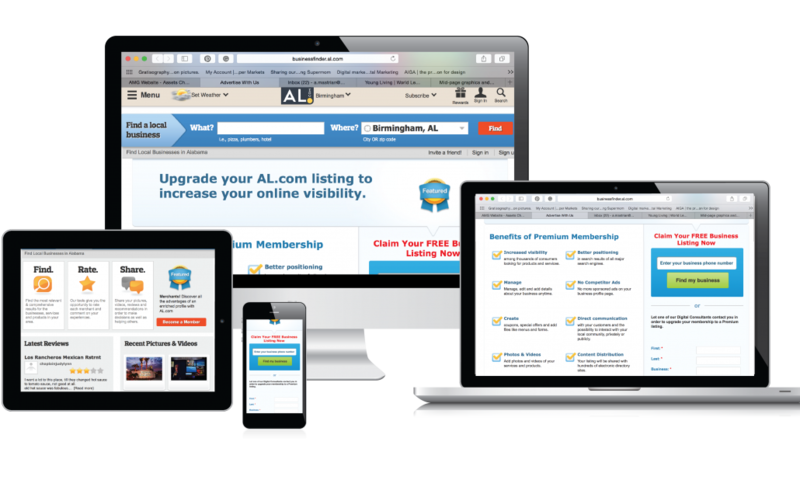 AL.com and gulflive.com directory listings provide a simple and effective way to help your customers find accurate contact information for your business. Active consumers are able to easily search by category, location and keyword, and quickly find out more about the products and services you offer. Take advantage of a simple (and free) way to make sure your business is found online by claiming your business listing. An enhanced business listing can improve your business’ visibility in search engine results and includes data distribution to get your accurate and up-to-date information to hundreds of other online directories. Data distribution will increase your search results within search engines. Your listing will be shared with our network of hundreds of online directories. Manage, edit and add details about your business anytime. Your listing will be featured in AL.com or gulflive.com directory search results. Plus, sponsored ads are removed from premium members’ business profile pages. Add coupons or special offers, and include useful files inside the listing. Join the conversation and respond to comments directly, with the option to interact with your audience, privately or publicly. 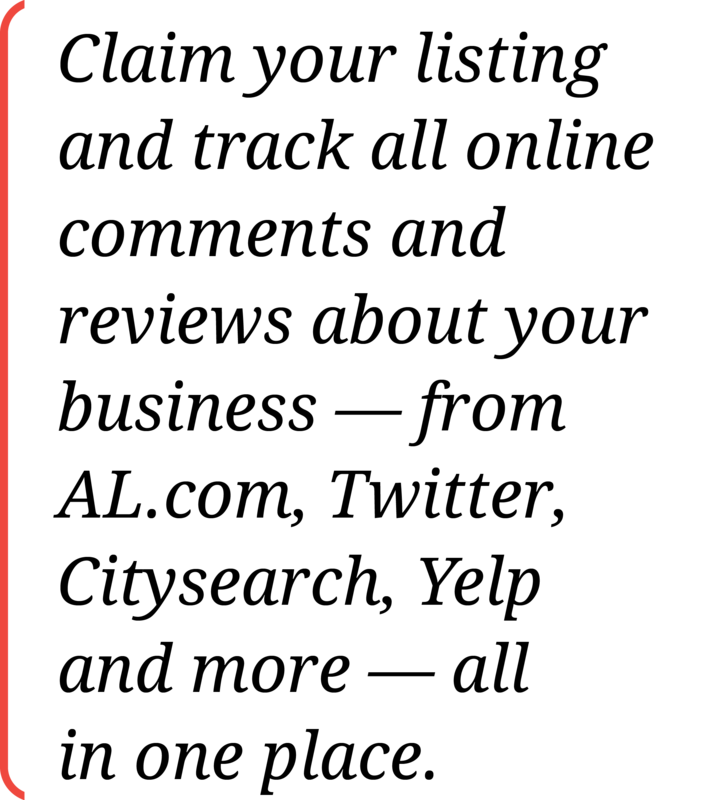 Add photos and videos of your services and products. Directory Listing Premium Memberships make brands even easier to find and harder to ignore.